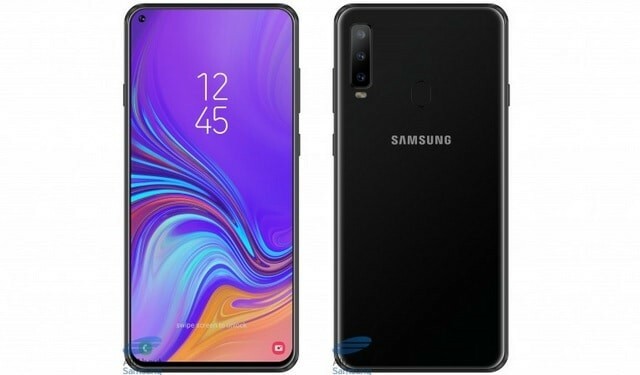 Just a few days ago, Chinese tipster @MMDDJ leaked the alleged renders of an upcoming Samsung smartphone called the Galaxy A8s that will feature a cutout located at the upper left corner of the screen. Samsung has today confirmed that the Galaxy A8s with an Infinity-O display will be announced in at an event in China on December 10. 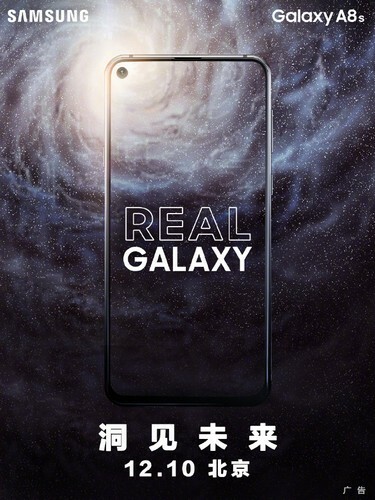 The official Samsung Weibo account has shared an official poster for the device’s launch which gives us a clear look at the Infinity-O display of the Galaxy A8s, and truth be told, it looks gorgeous. The Galaxy A8s is poised to become the world’s first smartphone to flaunt a punch-hole camera design which features a hole drilled in the display to house the selfie sensor. 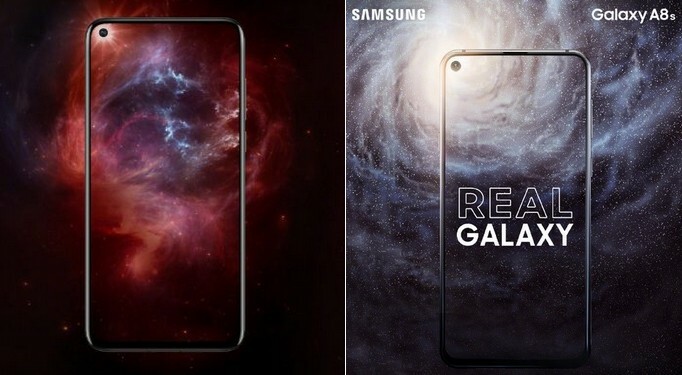 Also, the Galaxy A8s will earn the distinction of introducing Samsung’s Infinity-O display design which is also expected to appear on the Galaxy S10 flagship. 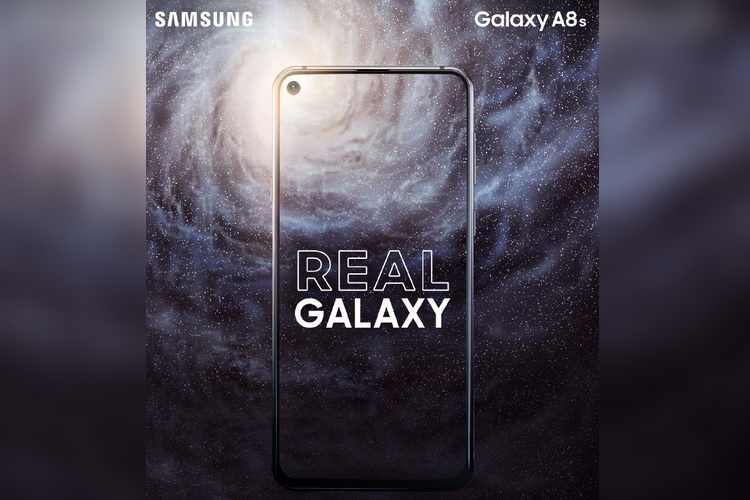 Samsung teased the Galaxy A8s back in October at the launch event of the Galaxy A6s and A9s in China, indicating that the upcoming smartphone will feature a truly bezel-less design and an in-display camera. As for the specs, the Galaxy A8s will reportedly be powered by the Snapdragon 710 SoC and will pack a triple rear camera set-up similar to the Galaxy A7. It appears that Samsung is trying to steal the thunder from Huawei, Samsung’s arch-rival in the Chinese market, by launching the world’s first smartphone with an in-display camera. Earlier today, Huawei announced that it will launch the Nova 4 with a strikingly similar design and an in-display camera on December 17, which clearly indicates that Samsung is trying to one-up Huawei. Just take a moment to look at the similarity between the front panel’s design of the Huawei Nova 4 and the Galaxy A8s. Aesthetics aside, the Nova 4 will reportedly be powered by the flagship 7nm Kirin 980 chipset which that also powers the Mate 20 Pro, paired with up to 6GB of RAM and 128GB of onboard storage.